Do you go with books? Or do you go with learn Japanese apps? Technology has drastically changed how we do things, making products more efficient, cheaper and faster, but traditional methods are still the most popular for learning new skills, at least in the classroom. However, technology has begun to take root in education, as it has within most industries. So how has technology impacted language learning and what can it do for improving your Japanese? The internet is a goldmine when it comes to gathering information and learning, but the internet has many flaws. Just like the inside of a goldmine, to find value you have to sift through tonnes of worthless rubble. I'm going to tell you where to find the 5 biggest, shiniest pieces of Japanese-learning gold. I'm also going to tell you how to get the most out of them, and why they are ten times better than whatever traditional method you are using right now. The. Best. Free. Mobile. Dictionary. Ever. Download this app to save yourself the $100+ your teacher wanted you to waste on an outdated electronic dictionary. Imiwa is free but it packs in high-value content. It is an offline Japanese dictionary with extensive Japanese-English entries (currently over 170,000). It is also filled with sentence examples and kanji stroke order indications. You can expect Imiwa to be updated all the time. No pushy dictionary salesman trying to sell you the new edition of the Oxford Japanese-English dictionary every new year. With Imiwa, you will be getting new entries and example sentences for free. Imiwa's search system sets it apart from the competition. Both kanji and vocabulary can be searched either via keyboard input, radicals search or JLPT levels. This is a key function. You can't learn Japanese at your successfully without it. There is one more great thing about Imiwa. 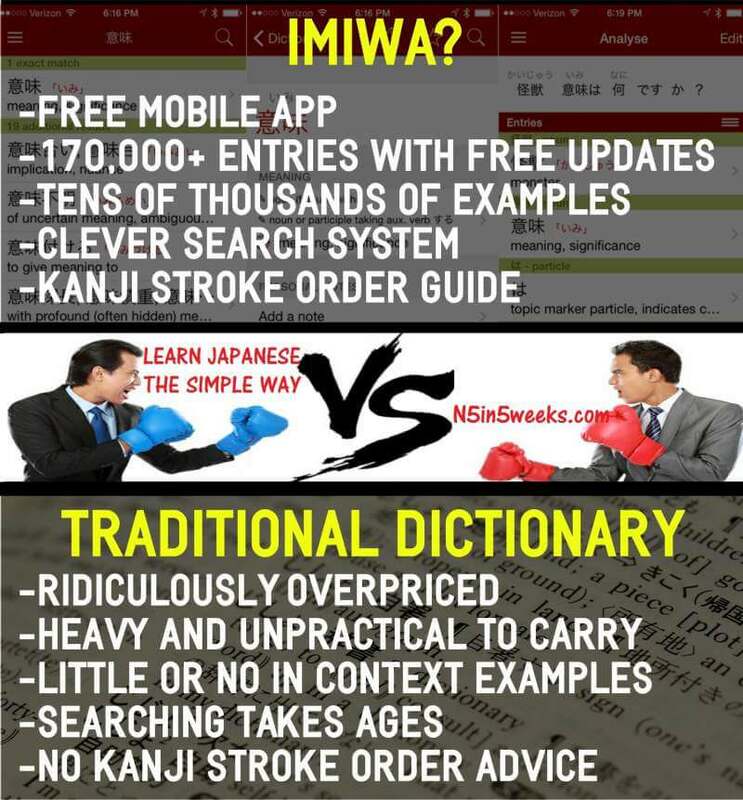 Just like the other 4 tools you will find in this article, Imiwa is just an app. It weighs nothing. Advances in technology now mean a dictionary is something you can carry with yourself at any time, just like Imiwa. Do you want some advice for meeting girls in Japan? Don't bring an 800-page Japanese-English dictionary to the club. The app is free. And awesome. Download it, play with it a little – you'll love it. Do you have a bad memory? Or do you just need a more effective way of memorising? This app helped me learn the most common 1,000 Japanese words in less than three months with only 30 minutes of study per day. After six months, I had already passed the 2,500 mark. Anki is a free SRS system available for studying flashcards both online and offline. Of course, you could just make your own flashcards from real-life pen and paper…but do you really want to? In Anki you can create your own, or you can use one of the thousands of high-quality Japanese flashcard decks already provided. 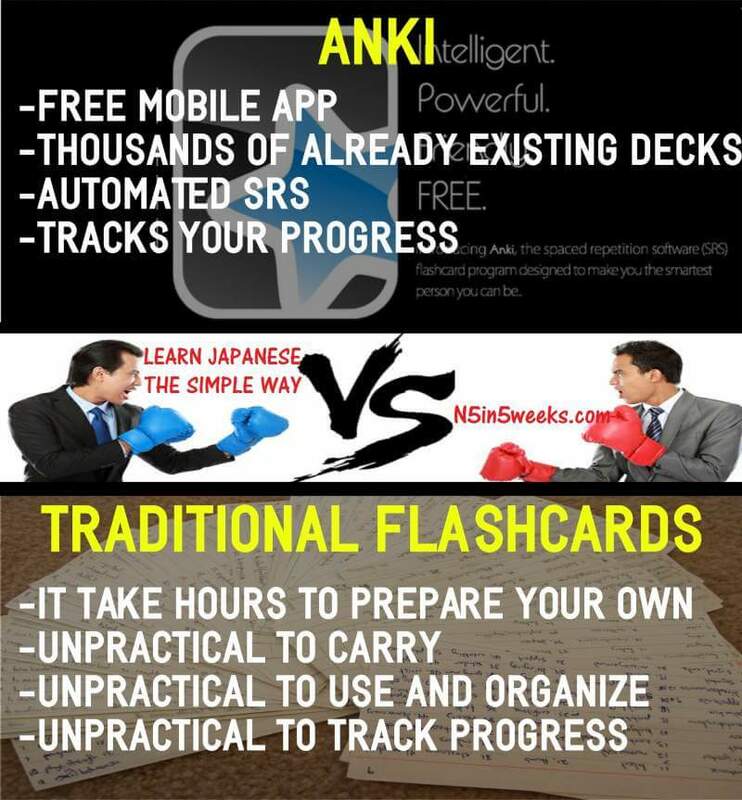 There is no debate about SRS systems being the best tool to learn Japanese, and Anki is one of the best SRS apps out there. Anki does have one tiny flaw. The web version of Anki is free for all, and if you are an Android user the app is free for you. The downside is that Apple users will pay a fee to download a mobile version. But to put this in perspective, if you can afford a $700 phone to watch cat videos, you can afford a $15 app to learn Japanese. If you've never used an SRS system before, it might take you a couple of minutes to figure it out. Go and download it now and then let me know how much you love it. One of the things I always stress on my YouTube channel is the importance of grammar. Learning Japanese without studying grammar is like buying IKEA furniture without nuts and bolts: you're going to have a lot of pieces of fancy wood, but every time you try to build something, it collapses to the ground. Japanese grammar is a lot easier than that of other foreign languages, but there is a lot to learn. And I mean A LOT! Japanese grammar is simple, but plentiful. The good thing about Japanese grammar is that the percentage of it you actually have to master is a lot smaller than you'd imagine. So what's the best free resource to study the grammar you need to know? 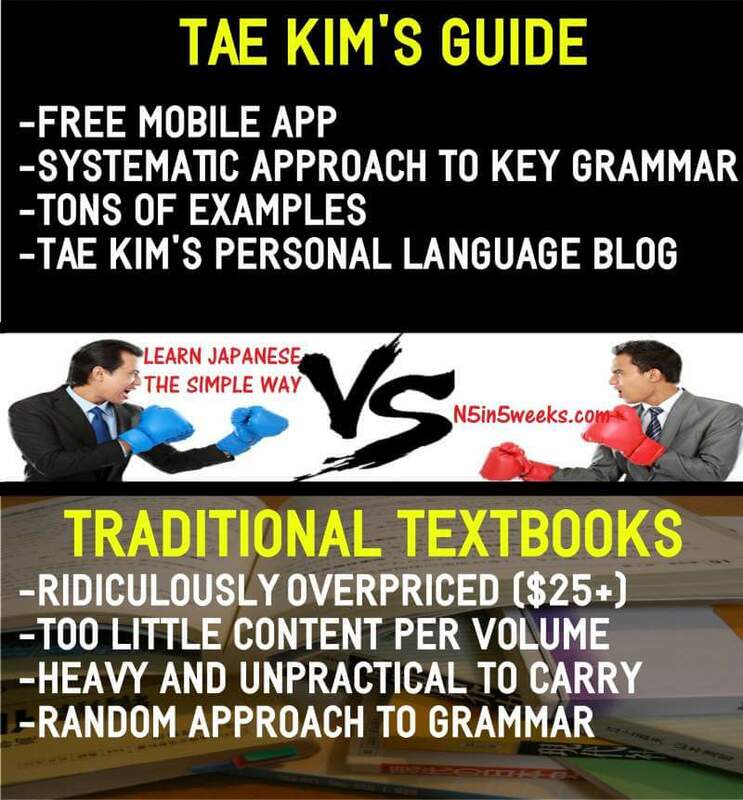 Tae Kim's Guide to Learning Japanese. 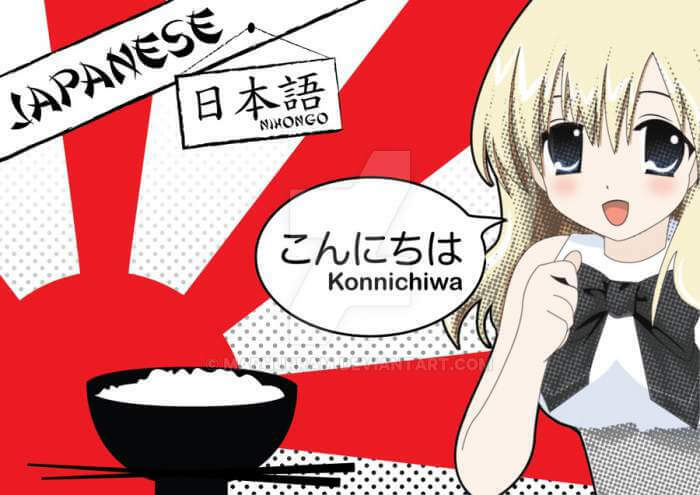 I'll be honest with you – grammar is one thing in Japanese that isn't all fun and games. Unlike kanji and kana, there is no real easy way around it. One top tip Id give for learning Japanese grammar is this – find a clear systematic guide that explains to you what you need to know. Tae Kim's app is just that. If you are serious about learning Japanese, I'd still recommend using a textbook like Genki or Minna no Nihongo, as it will be easier to keep track of your learning process. However, if you are on a shoestring budget, this app will be enough to help you. I laughed so hard when I first saw this app. Their advert was just hilarious. What blew my mind was how Dr Moku drilled the kana into my head through funny mnemonics in just a couple of hours. 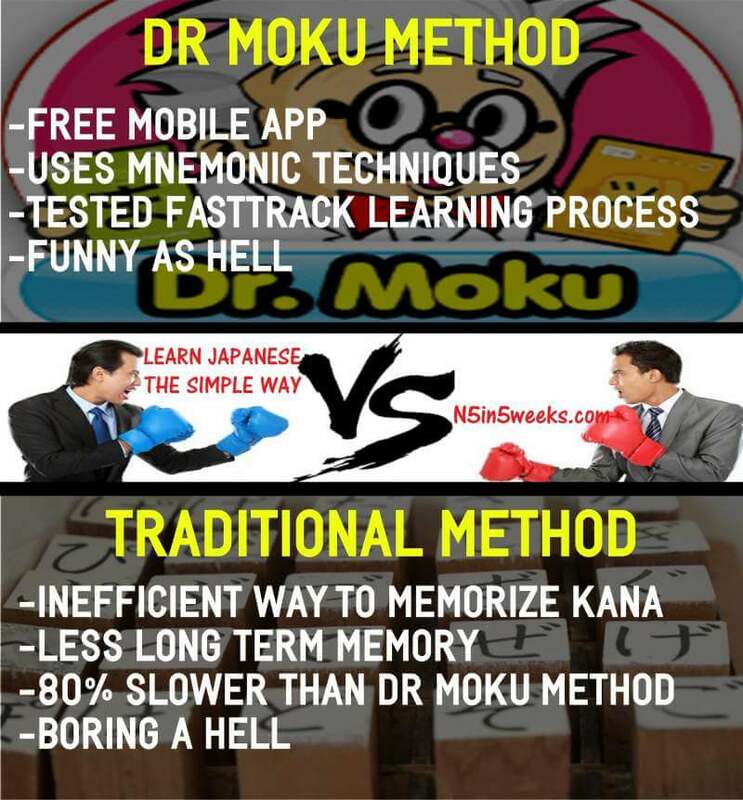 In this app, Dr Moku associates all the kana with funny pictures, which make it impossible for you to forget them. My personal favourite is how he turned “?” into a cow making a smelly yellow mustard fart. Watch the app trailer to get an idea of how funny this actually gets. If you have used Anki before, you know already how powerful mnemonic tools are. Rote memorisation when compared to mnemonic hacks is like hot air balloons versus airplanes in terms of efficiency. When was the last time you flew over the Atlantic Ocean in a hot air balloon? Mnemonics are much more useful for learning vast amounts of information. Download the Android or iPhone version and test it out. After 30 minutes of studying with this app, your mind will be blown. Odds are, you don't live in Japan. If you do, good for you. If you don't, it might be hard to constantly find interesting Japanese content to read and learn from. Here's the problem with most of the Japanese reading material online – it's either too easy or too difficult. Content designed for beginners is dumbed-down and over-simplified. More advanced content is, well, designed for native speakers. 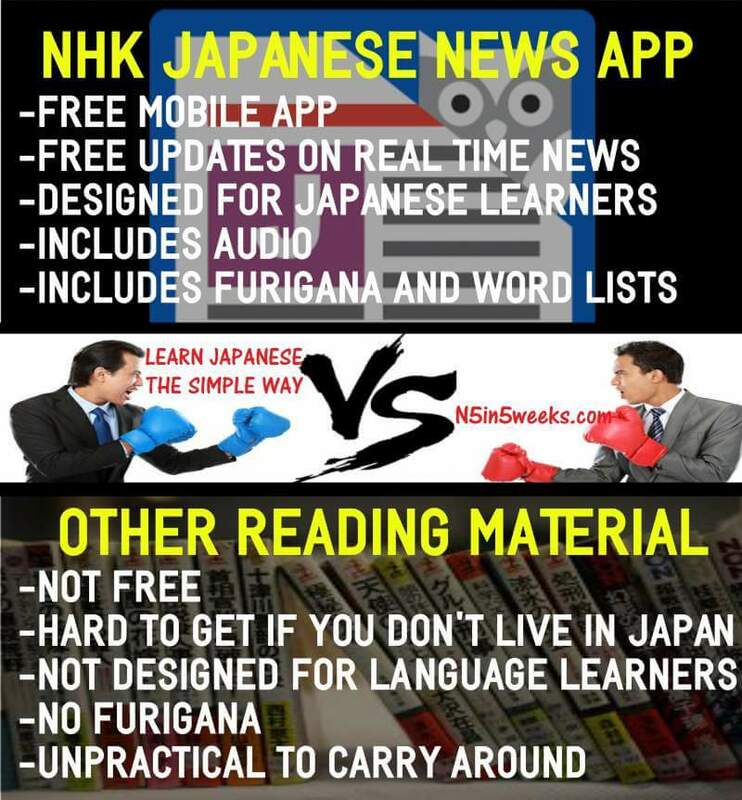 The NHK Easy Japanese News app is the most successful attempt I've seen so far at finding a happy medium. 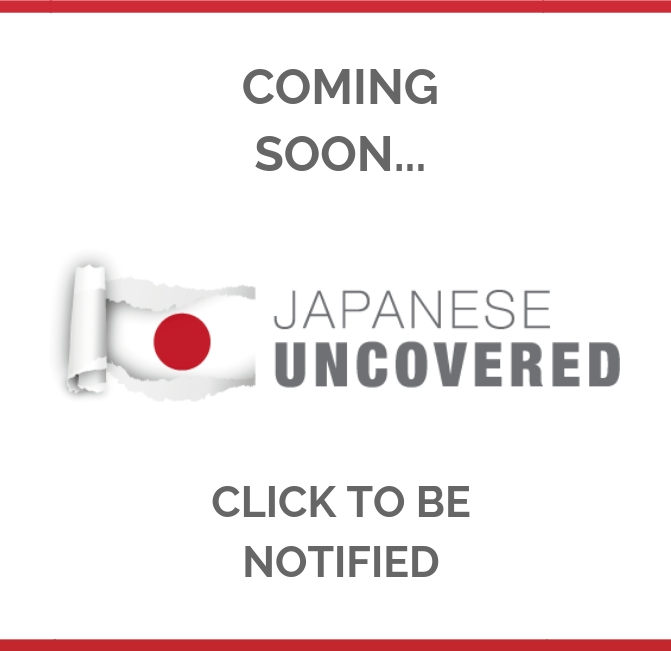 It is a simple way to practice your Japanese reading skills every single day, while actually learning real relevant information about the world. The app also has free audio features, allowing you to get a wider spectrum of training. The best way to use apps like this one without being overwhelmed is to set a timer on your phone and just do 15 minutes a day. Don't worry about how much you learn every time, just focus on putting in the time. The improvement you will see is going to surprise you. A lot. So this last one isn't exactly an app. But it will help you to understand fast, spoken Japanese. 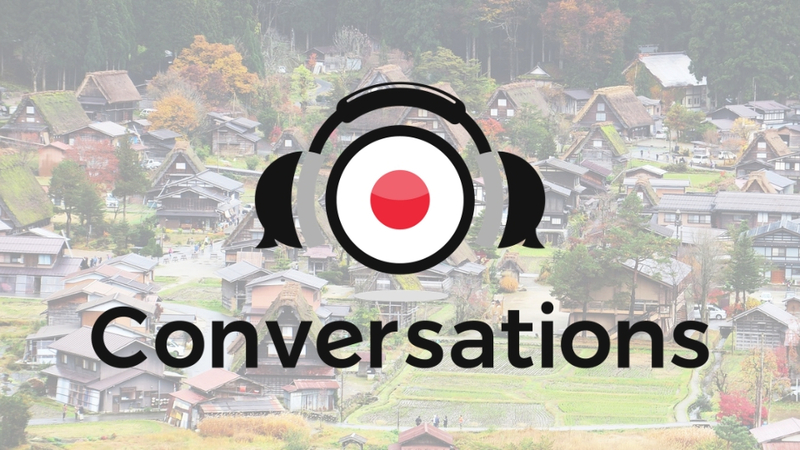 It's Japanese Conversations, dialogue-based audio material that tell an intriguing story in 20 parts. If you're an intermediate learner who feels frustrated when listening to normal-speed Japanese, then it's the perfect listening tool for you. This was a guest post, written by Andrew from N5in5Weeks! I love these 5 free apps, so why not go ahead and download them right now and see if they help you improve your Japanese. If you are interested in finding more tools and tips from Andrew, check out his blog and YouTube channel. Have you tried any of these apps? Give them a try and let me know in the comments what happened!